Graduated, Master´s, and Doctor in Management, all of them from the University of São Paulo (USP). 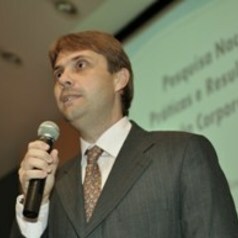 Professor of the Business Administration Department of the School of Economics, Business Administration, and Accounting of the University of São Paulo (FEA-USP) since 2013. Representative of FEA-USP in the United Nations Principles for Responsible Management Education. Scientific Coordinator of ENGEMA - International Meeting on Business Management and Environment, since 2014. Co-Editor of RAUSP - Management Journal (Emerald Publishing). Research mainly on: strategy management, performance management and sustainability management.